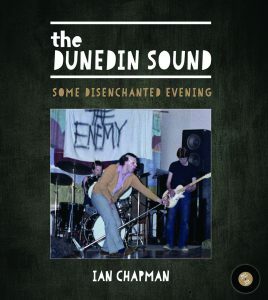 One of the many endearing aspects of Dr Ian Chapman’s book, ‘The Dunedin Sound – Some Disenchanted Evening’, is just how much of it is taken up with the very question of whether there is such a thing – or at least, whether or not it’s right to lump the music of widely various acts together into one descriptive hold-all, simply based on their city of origin. It’s a book that happily challenges its own precept – that the Dunedin Sound is a credible and valid term, allowing both pro and dissenting voices space to argue their point. Despite the widespread (and international) usage of the term there remain those who maintain it is illusory, a cheap option for commentators lacking the skills to discern the differences or accurately describe individual bands’ output. Chapman is a musician, academic and author of two other music-focused books. A former Otago University student he has been a lecturer in the uni’s Department of Music for the last 14 years. In that role he works alongside some of the key musicians tied to the origins of the term ‘Dunedin Sound’, making him extremely well placed to embark on such a challenging work. 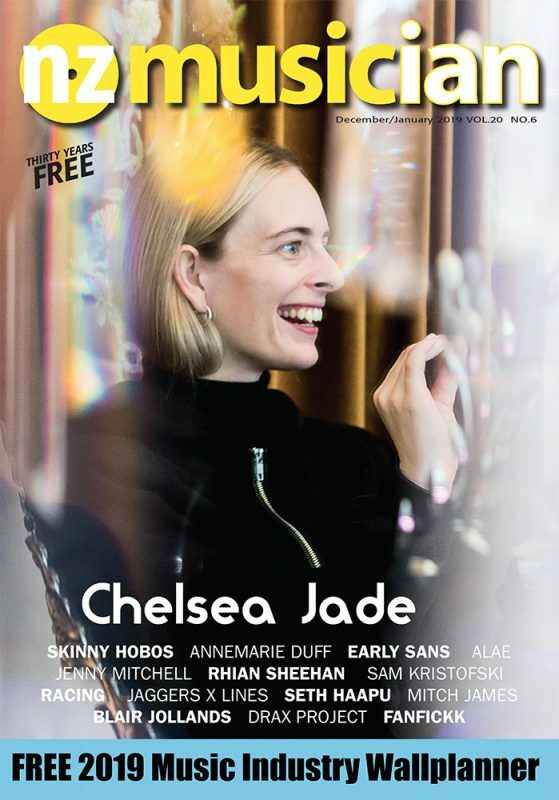 Even given that controversial aspect however, it’s debatable if the Dunedin Sound could sustain general reader interest much beyond the length of a decent university essay – and given the proliferation of tertiary music study options you do wonder that such a thesis / book hasn’t been written before. Yet the author has managed to very easily fill 200 pages in a thoughtfully presented hard-back, and even then been obliged to leave out some well remembered bands, and many more individuals who might have expected to have been included. More importantly though he has found a way, ways actually, to make it interesting, honest, personal, instructive and entertaining. The main way is by flooding the pages with a huge variety of photos and images, many previously not seen publicly. A scrawled note to Stephen Kilroy from a friend who borrowed his 8-track recorder in 1994 is one good example. Numerous used set lists, blurry snaphots and handmade gig posters are among others. Chapman explains the weighting of text to photos by describing himself as a music iconographer – which is to say that he ‘finds the visual imagery of music sometimes as exciting as the music itself’. Anyone who was there (the work focuses on the years between 1977 and 1992) will likely support his thinking. Interestingly the photos themselves sometimes reveal just how few people were really involved in the earliest definitive period and some of those seminal gigs. The carefully chosen cover image is of Chris Knox fronting an early The Enemy gig at Beneficiaries Hall in 1978. The Enemy, as with several other acts that get a ‘chapter’, didn’t last long enough to release any official recordings. The author notes however that they were an inspiration to audience members, ‘among whom were those who would go on to create what collectively came to be known further down the track as ‘the Dunedin Sound’’. Given space constraints only 17 bands get their own chapter or section, and then it is typically only a single page of text and a neatly presented page of members and discography – followed by several pages of assorted images. I found myself wishing Chapman had allowed himself more paper to paint pictures with his words. He writes engagingly, striking an efficient balance of academic detail and necessary admiring fandom. He describes the book variously, but notably as ‘a celebration of 17 great Dunedin acts who collectively achieved something both remarkable and lasting’. Aside from the foreword by fellow lecturer Dr Graeme Downes the artists themselves were deliberately avoided. He left the wider commentary role to a variety of others; artist, archivist, manager, record store owner, international fan, critic, local label owner etc., soliciting personal essays from them and receiving back a variety of comment. There was risk in that and certainly not all necessarily engage, but the breadth of commentary is another strength of this interesting and fun book.